Ready to roll your Bowling Ball like a pro ? 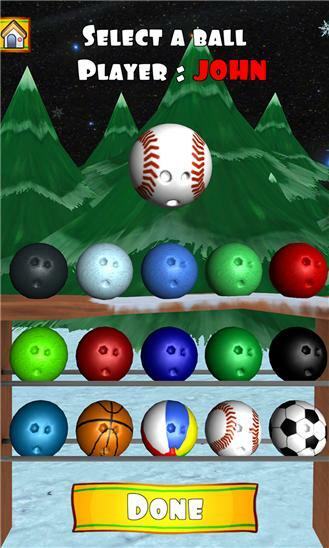 With Bowling Xmas, you will find a super realistic stunning HD graphics bowling game. 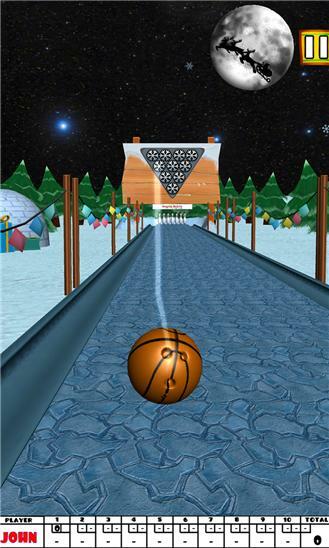 The goal of this ball game is very simple: Knock over as many pins as possible. Set in a beautiful 3D environment, You will either have the opportunity to train yourself to become a Bowling master or challenge your friends to reach the highest score. This free game provides leaderboards so you can easily track your progress. Hours of Bowling fun ahead of you ! How many consecutive strikes will you get ? Can you score a perfect 300 ?